Barkham Close is situated in the thriving village of Cheddington, near Leighton Buzzard. The village has a strong community with a number of societies and activities. Buses are infrequent, however, there is a train station with access to Milton Keynes,Bedford, Hemel Hempstead and London. Library: A mobile library visits the scheme on the afternoon of the 2nd Thursday of each month. Lifestyle: Weekly social activities include coffee morning, bingo, games/cards session (organised by the residents). A Fish and Chip van visits the scheme each Friday lunchtime. Visit ‘upmystreet’ for further details on what there is in and around the ‘cheddington’ area. Pets: Cats and dogs accepted. Managers notes: Barkham Close is situated close to the village centre. There is a General Store at the top of Barkham Close. Daily papers can be delivered from here. There is not a Doctors’ Surgery in the village. However, Doctors from the two Practices at Wing do hold surgeries in the Methodist Chapel on certain days. 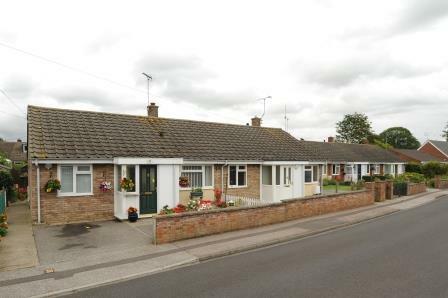 All of the properties at Barkham Close are terraced or semi-detached bungalows with generous individual gardens. Many also have private driveways for off-road parking. The Autumn Lounge is the hub of the thriving social scene at Barkham, a converted bungalow that offers communal kitchen and lounge, conservatory extension and paved gardens.